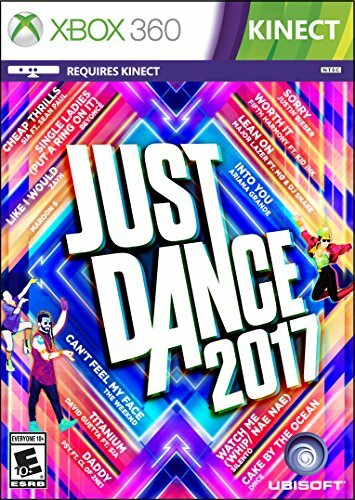 Just Dance 2017 for Xbox 360 is the newest version of the world's #1 dance game! Features the hottest hits of the year including "Sorry," by Justin Bieber, "Into You," by Ariana Grande, "Cheap Thrills," by Sia ft. Sean Paul, "Lean On," by Major Lazer and DJ Snake ft. MO, "Can't Feel My Face," by The Weeknd, and more! Also available on Xbox One - No Kinect required! Transform your smartphone into a controller with the free Just Dance Controller app.